In my previous post I took a somewhat critical look at artistic ‘greatness’ understood as a quality that sharply distinguishes ‘great’ artists and their works from ‘ordinary’ people and everyday life. For art to move us, does it necessarily have to rise above us? Does it have to be a work of incomparable genius? Does it have to be monumental? Or can it be small, banal, personal? Can it, quite simply, speak about love? I will now be looking at pictures by an artist who filtered his personal experiences through some of the most trivial and commonplace products of the visual culture of his time, transforming those trivial images into something intimate and full of life. 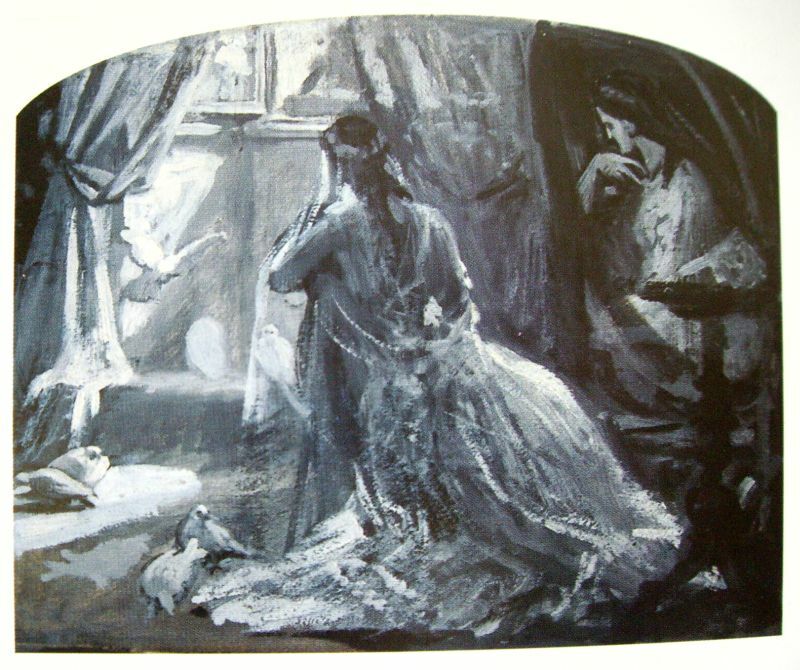 This perpetual oscillation between general and singular, public and personal, was crucial to Bertalan Székely’s (1835-1910) representations of domestic life. The collision between greatness and intimacy is a productive force in Székely’s oeuvre. Today, he is widely known as a history painter: his scenes from 16th-century battles against the Turks are familiar to the Hungarian viewer not only as artworks, but as illustrations in history books. They are certainly great: depicting turning points in history, they are monumental in their sizes and awe-inspiring in their compositions, often recalling religious imagery, as in the case of The Discovery of the Corpse of King Louis II after the Battle of Mohács. There is, however, another facet to Székely’s art, much less known today, but – as evidenced by his notes and sketches – considered equally important by the artist himself. Besides the great events and heroes of Hungarian history, Székely also aimed to depict moments of everyday life; scenes so general, so universal that – according to him – any person from any country would understand them. To achieve this, he planned series of lithographs narrating ‘typical’ human lives.